Happy Monday to one and all! This week Bobby got inspired by all the Halloween decorations and decided to go for an edgy look. A bit goth. Something to try for the Halloween party perhaps, or maybe when you dish out candy to the visiting trick or treaters? Take it away Bobby! I first lined her eye top and bottom with Black Ice. I used a dry application with an angle brush at first, to create a smudgy line. You can create a very thick line on the bottom. In other words you can go down further under the eye than you may think!. Next I used the same brush again with Black Ice, but this time I dampened the brush with a bit of Miss Fix It sprayed on the back of my hand to get a wet application. The wet application is stronger and sharper of course, so on the bottom I made a finer, thinner line with this, underneath the lower lashes and as close to the rim of the eye as possible. On the top of the eye, I just went for it with a nice thick line (Lauren, our model has very big eyes and generous space on her lids, so her eyes can handle plenty of liner). I always make the top and bottom liner gradually thinner as you go towards the inner corners, and thicker and extended slightly on the outer corners. 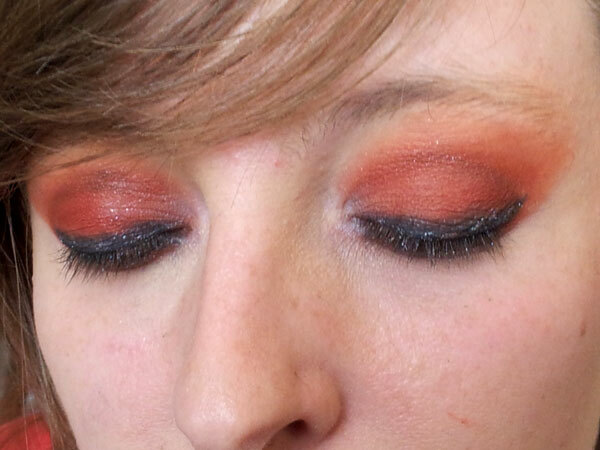 Next I used Red Tea Box all over her eyelid, blended into the edges of the Black Ice Liner. I also used it unto her crease and faded it out towards the brow. Applying a color all over the eye like that is called ‘color washing’. 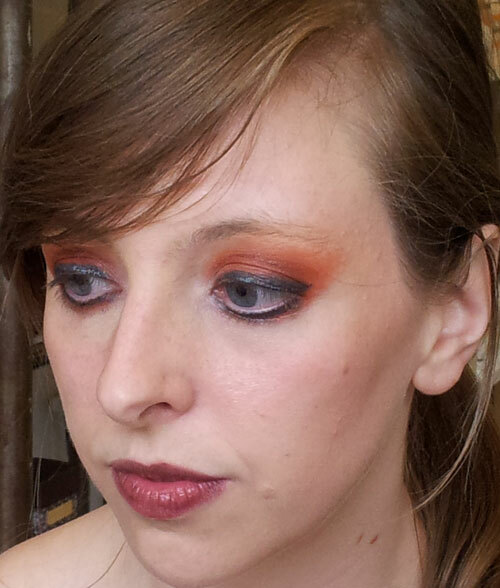 I also used Red Tea Box underneath the eye, again blended into the edges of the Black Ice eyeliner. So, the red goes all the way around her eye! There are a million makeup myths out there, and one of them is that people with blue eyes shouldn’t wear red eyeshadow because it can make them look tired. That is only true if you use red by itself! 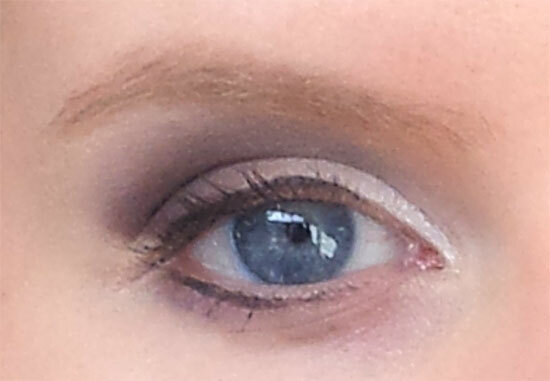 If you ‘ground’ the color with black or dark brown, or charcoal grey eyeliner, you completely neutralize the problem. 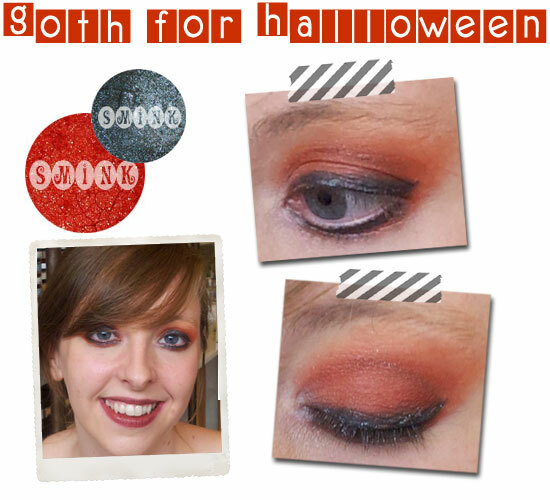 In fact, in Lauren’s case, the warm tomato orange tones in Red Tea Box contrast beautifully with her blue eyes, making them really stand out! This makes sense since blue and orange are opposites on the color wheel. 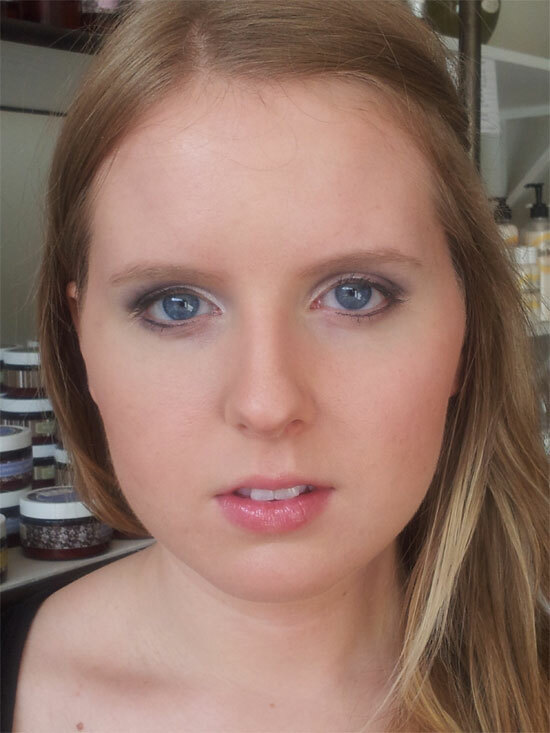 Next I contoured Lauren’s cheeks with Lamanche blush. Lauren has a neutral skin tone so the blush didn’t give much color, just added a ‘shadow’ effect, making her cheeks look more sculpted. Lamanche is still good for more golden skin tones (a G2 for example) but it will look a little bit warmer on these skins. In other words it will look more ‘bronzey’. I don’t think that is a word. 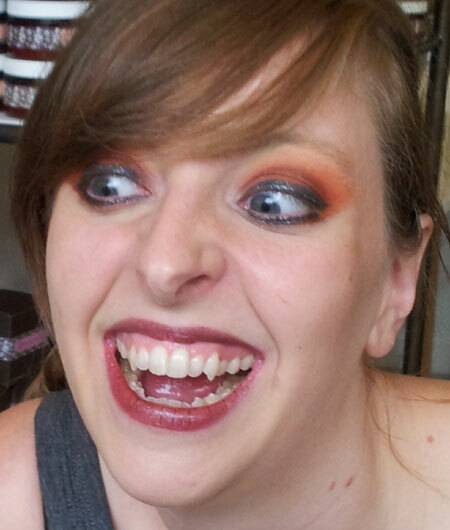 Finally, I finished the look with a light application of Black Currant Lip Glaze on Lauren’s lips. In real life the color looked darker and much more purplish plum, more ‘goth’ in my opinion. On film it looks quite red! Sometimes colors look, or ‘read’ very different on film from how they look in real life. But the color still looks great, on film and in real life! And that was the whole look! Gothy and edgy, but still pretty! I am writing this from my house in Sweden. We got here last Tuesday night and have tried to settle in with all that entails…. getting a phone, internet, a car (a necessity as we live in the middle of nowhere), trying to figure out how to heat this house without spending several arms and legs. Stuff like that. I started with foundation all over the lid as a base, then applied Oh Me Nerves all through the crease and outer corner of the lid. I went over the crease again with Dovekie, to soften it and fill in the gaps. I did my usual trick of going very high towards the eyebrow with Dovekie and then used foundation on top, under the brow to soften the edges of the crease, creating a perfect fade out of the crease color (no edges!). 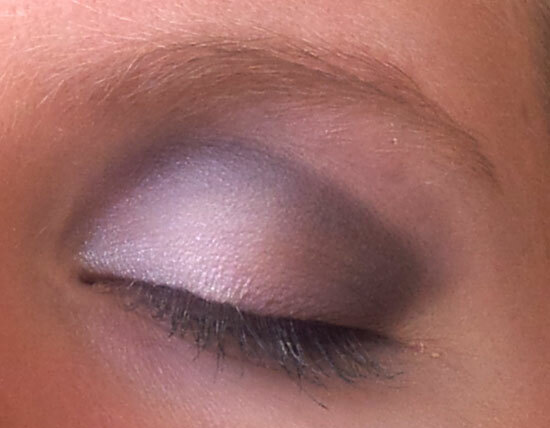 I used Fog on the middle and inner corner of her eyelid, and a dot of Winterton on the very inner corner of her eye. I lined her eye on the bottom with a smudgy line of Dovekie, and then used Coal Shute (wet) as her actual liner, top and bottom. I just ‘dabbed’ the liner on very lightly because I wanted an overall softer look. Finally, I used LaManche to lightly contour her cheeks, and blended it with My Ducky on the apples of her cheeks. The LaManche looked a bit too warm for her skin, so the My Ducky also neutralized the orangy tone. I also used foundation on top of the contour to soften it further (again, I didn’t want any edges!). On her lips I used Frosty Kiss. And voila, that was it!! !